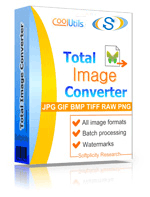 Description TGA is a raster graphic format with color depth up to 32 bits per pixel. Images are with direct or true color. The major purpose is the creation of high-quality images, mostly for video games. It was one of the first programs offering 16 mln color palette. It is open source, but has poor support among modern file viewers. TGA stores image data in uncompressed form and provides ability of efficient data compression, better than PNG or JPEG. Images can be compressed by lossless RLE algorithm.